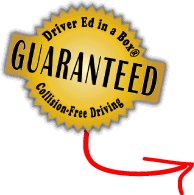 "My in-vehicle training experience was awesome!" "I loved getting to know how to drive. Also, learning how to maneuver and cooperate with others on the road. The most helpful parts of this program were the videos. Actually 'seeing' the correct way to drive and what to do in specific situations was really helpful. I felt so excited when I realized that I was a courteous driver."